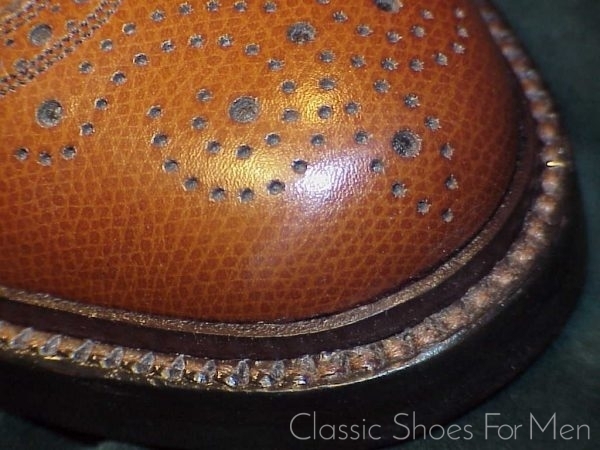 Ohne Übertreibung, ein gigantischer, unverwüstlicher, bis in Ewigkeit haltbarer Schuh, der dennoch mit kleinen Details zum Erfreuen aufwartet. 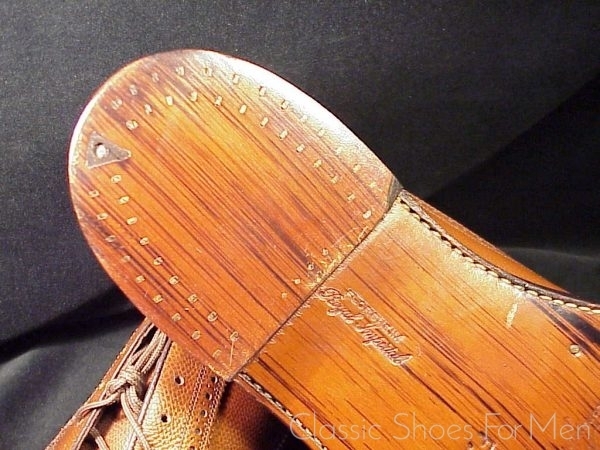 Die Charkteristika der besten Schuhe sind in diesem Meisterstueck vereint: “Edge-Binding“, “Split Reverse Welt” [Bild#9], Doppel-Rahmengenähte Sohle, Handschuhfeines Box-Kalbsleder-Futter. Eine schwer beeindruckende Arbeit der Schuhmacherkunst. 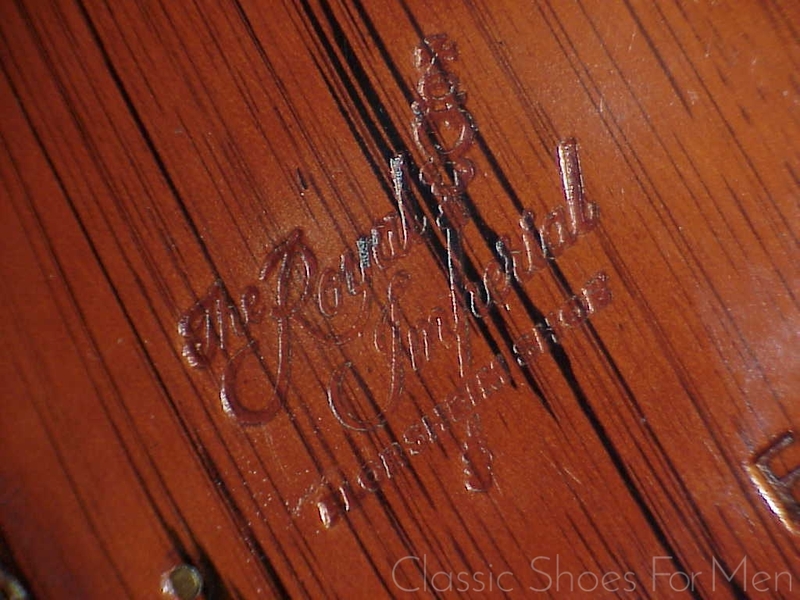 eine Standard-amerikanische 10,5 Wide(US).....9.5 Wide(UK).....eine deutsche 44 Breit, für den BREITEN Fuss. My old clients have grown weary of hearing me extol the virtues of the vintage Florsheim Imperial Budapesters. 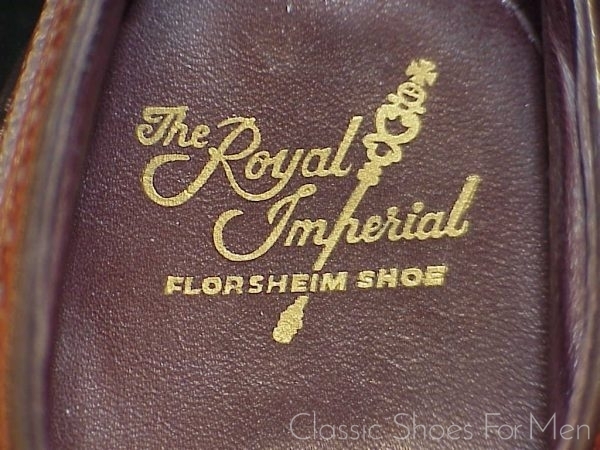 Not that they disagree that Florsheim made a shoe that will not soon be equaled in the world, certainly not among the ready-mades. 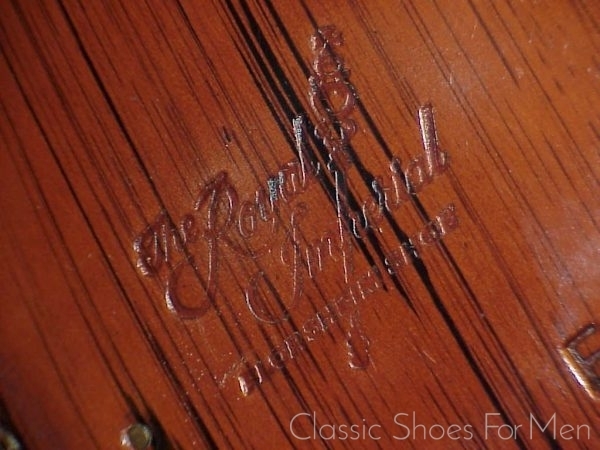 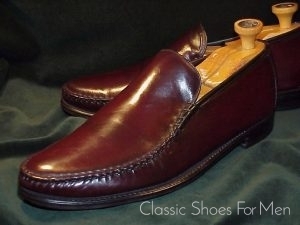 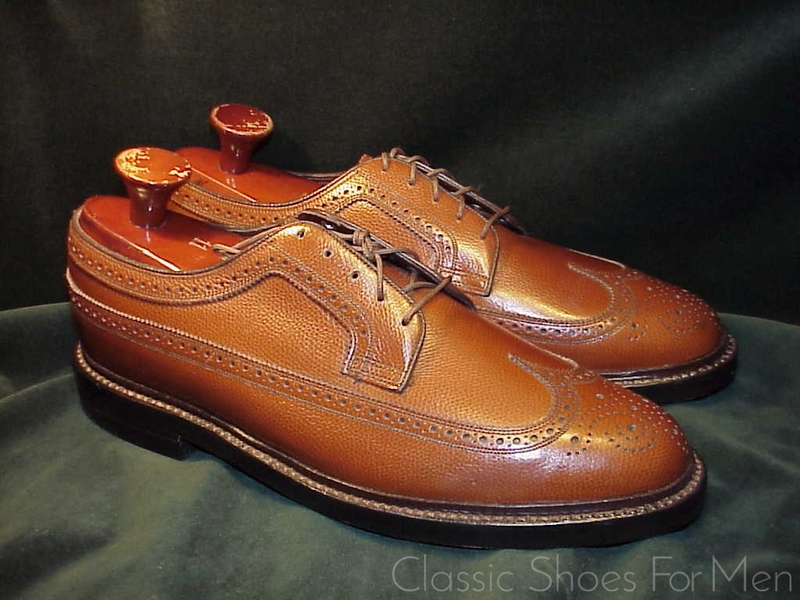 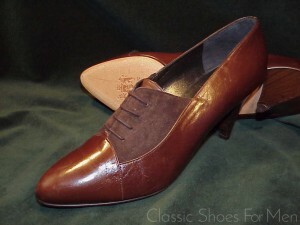 This particular pair is exceptional, as it is brand new; an extreme rarity for a shoe not made for over 20 years. 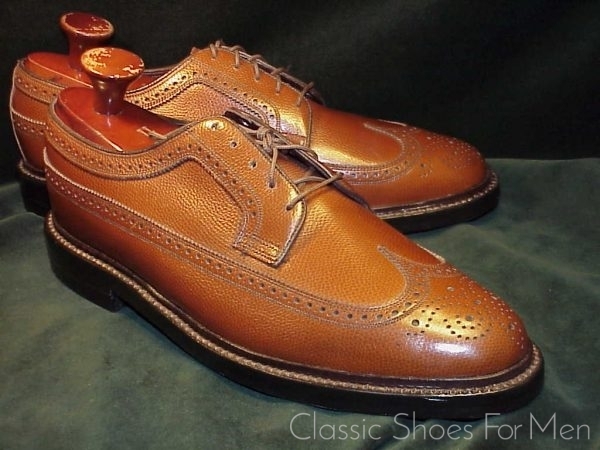 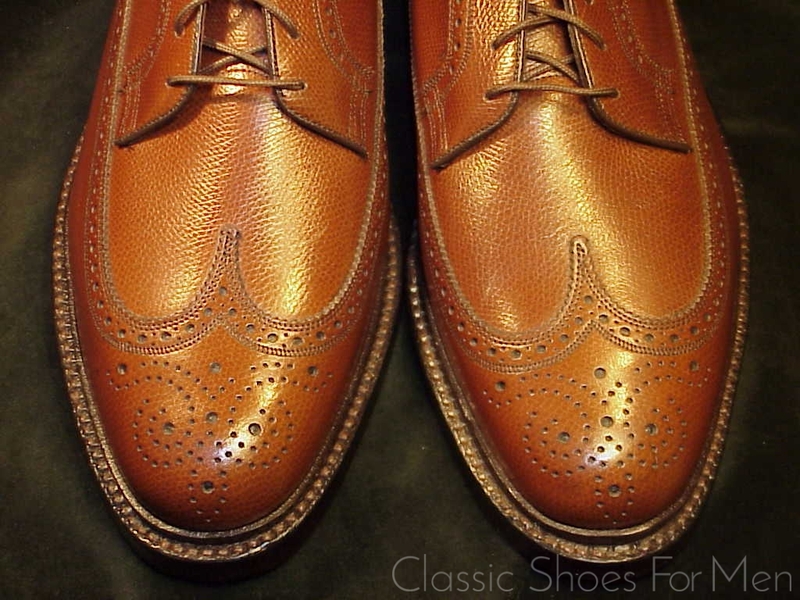 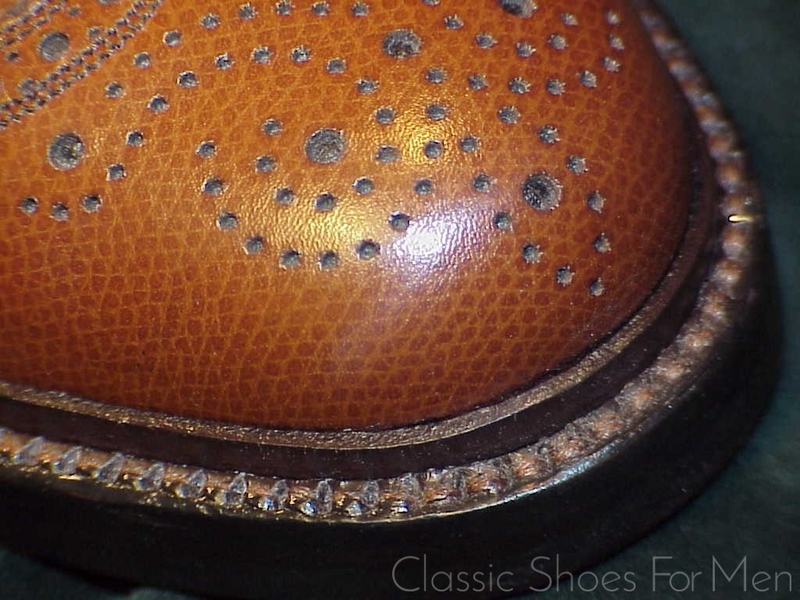 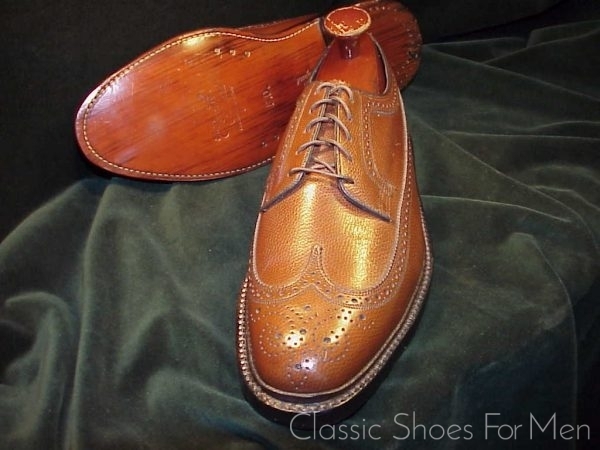 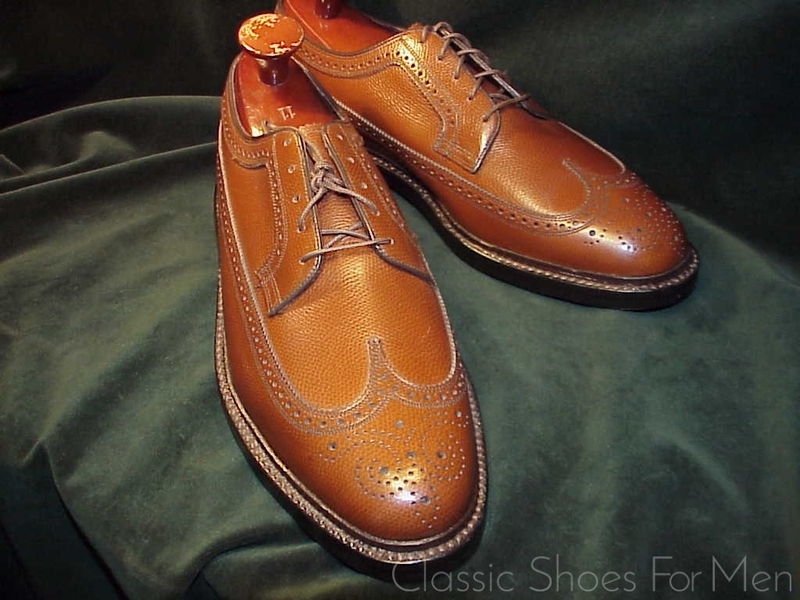 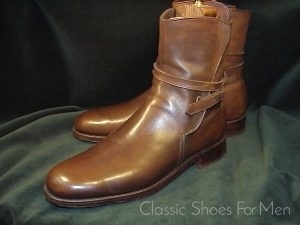 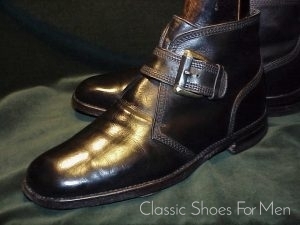 And it is exactly the type of shoe leather that will develop an extraordinarily beautiful patina over the years. 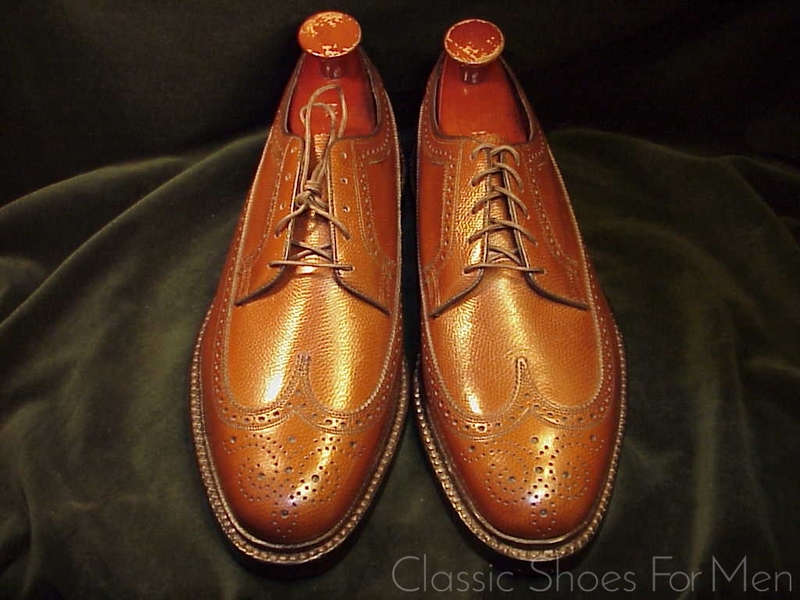 Florsheim’s Pebble Grain Calfskin takes to polish exceptionally well and, over time, takes on a warm glow. The attention to detail in the Imperials is most impressive: Goodyear welted and riveted double sole with additional split reverse storm welt [Pic#9]. 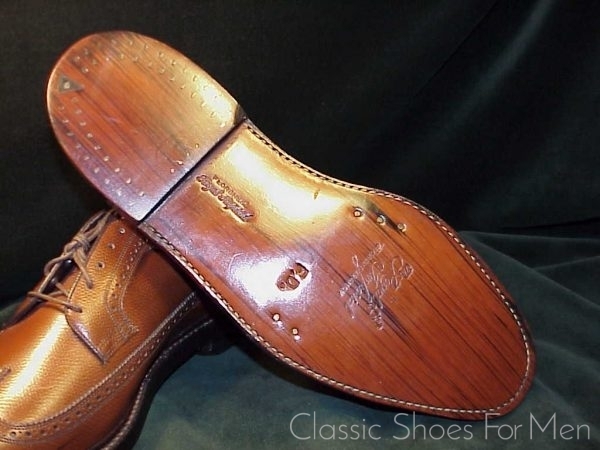 A shoe of this build quality, with double sole and armoured heel -please notice the double row of hand-set nails and tri-angular cleat that protect the heel- is a gift from the gods for a big or a heavy man or any man who is long on his feet or hard on shoes. You will be wearing this pair long after you have walked out of several other pairs of less substantial shoes. 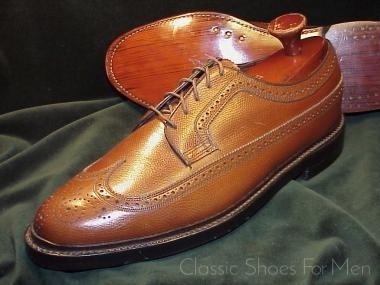 10.5 WIDE(US).....9.5 Wide(UK).....Continental 44 Wide, for the WIDE foot. 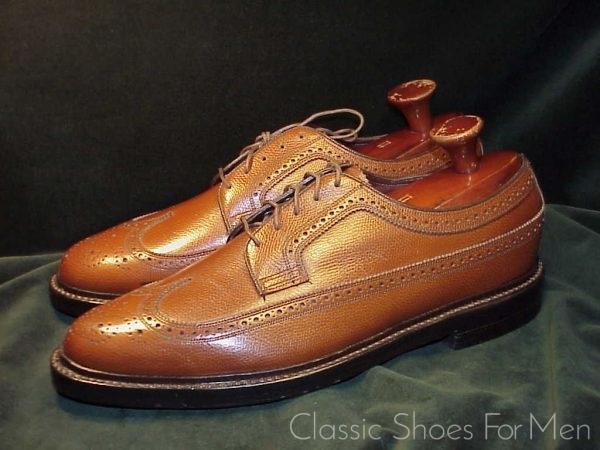 If you have needed to resort to oversized shoes to get the width you need, here is the correct solution to the problem, a truly wide shoe in your correct size.